Crack cocaine could easily be one of the most vilified and infamous drugs in America, being synonymous with many of the public images (whether accurate or otherwise) of substance abuse and addiction. But away from movie and TV depictions, crack addiction is a serious, deadly problem for thousands of people. Recognizing the signs and symptoms of a crack problem are vital in getting treatment for the addiction at the soonest possible moment. Cocaine has always been a drug of concern, but when the standard product is dissolved in water and simple baking soda, boiled (to separate the solids), and then cooled and cut up into rocks, the resulting product becomes a potentially even deadlier form of an already-potent drug. 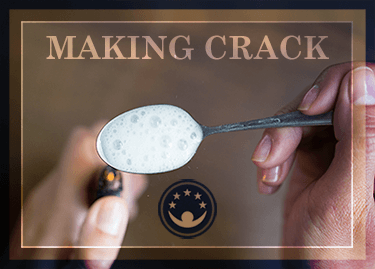 The resultant crack cocaine (so called because of the distinctive cracking noise made during the boiling process) has to be snorted or smoked for its effects to be felt. This means that the chemicals in the drug reach the brain much faster and more directly than when powdered (standard) cocaine is ingested. 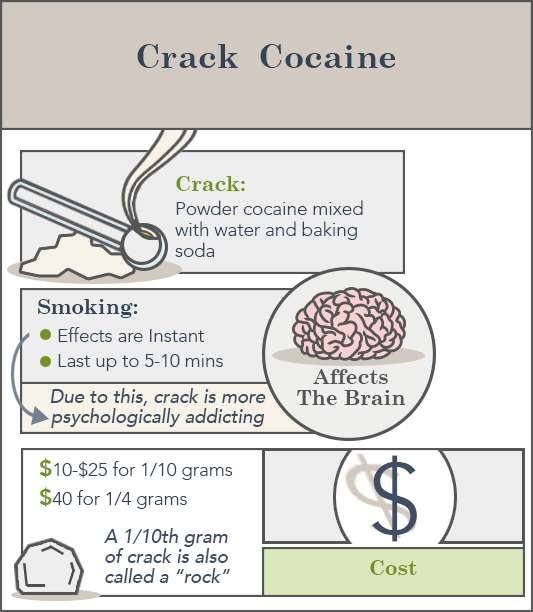 The high caused by crack cocaine is more intense and powerful, but short-lived, lasting only 15 minutes; however, this compels users to take another hit of crack, trying in vain (and repeatedly) to recapture the novelty of the sensation. According to Science and Practice Perspectives, it could take as little as one hit of crack cocaine for the brain to be effectively rewired. As soon as the drug is ingested, it strikes the brain’s mesolimbic dopamine system, forcing the production of the dopamine neurotransmitter, which has the effect of making the user feel rewarded and pleasured, and creating a strong anticipation for more of those feelings. The strength with which dopamine is released after a dose of crack far exceeds any satisfaction derived from a natural, healthy activity that would normally cause dopamine to be produced. In fact, the cocaine actually stops the brain from breaking down and reabsorbing the dopamine, effectively putting a user into a frenzy of ecstasy and stimulation, and creating an instant hook. Crack cocaine has telltale signs of use. Someone on the drug will exhibit excessive and perhaps uncharacteristic bursts of energy and stimulation, going far beyond any reasonable kind of excitement. The manic activity may include things like talking rapidly, consuming food at an inhuman rate (or perhaps not even needing food at all, despite having gone without sustenance), or being otherwise nervously agitated. When the dose wears off, users show signs of great fatigue, sometimes falling asleep wherever they are and then staying asleep for days. The drastic seesawing between unstoppable energy and exhaustion has obvious impacts on day-to-day behavior. Crack cocaine renders regular sleep habits all but impossible, in turn throwing off regular attendance at school, work attendance, and other obligations. The superhuman stimulation and unfathomable fatigue also cause violent and unpredictable mood swings, causing users to be argumentative and perhaps violent and dangerous to those around them, especially toward people who try and stop the drug use. Being off crack for a while can cause severe depression and even suicidal thoughts. Abusing crack for a prolonged period of time can lead to paranoia and hallucinations. In the same way that the neural stimulation caused by crack cocaine results in frantic energy, the drug also causes involuntary jittering, which look like tremors. Users are unable to control the shakiness in their limbs and extremities, even when they are off the drug. In fact, the incessant trembling may convince some users that if they had more crack, they would be able to control the jitters or not care about them at all, which then compels them to seek out and use more crack. Seeking out crack is, in itself, a sign of an addiction – not only because an addict wants it, but because the addict wants the drug even though it is painfully obvious that the habit has caused a lot of problems. For most people, discontinuing a habit when the disadvantages outweigh the benefits is a logical course of action. For someone addicted to a substance, thinking that clearly and objectively is not always easy. Someone addicted to a drug as powerful as crack cocaine will either vehemently deny that the drug is the cause of their problems or be helpless to control their intense physical and psychological compulsion for more of the same. While crack is most commonly smoked, it can be snorted. Nosebleeds are a very common sign of cocaine abuse because of how the drug tears the nasal lining and passages when it is snorted. As a part of this, a person using cocaine may also have a constantly runny nose. Long-term use may permanently damage the nasal lining, robbing a user of the ability to smell anything. 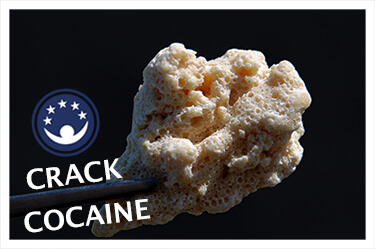 Likewise, snorting crack can also tear the mucous linings of the throat, making swallowing or speaking difficult. Some crack users can be identified by their hoarse voices and chronic sore throat. Different drugs have different effects on the pupils of the eyes, and crack is no exception. Cocaine (and other stimulant drugs, like amphetamine) delay the pupils’ ability to react to light. A person taking crack will usually have bloodshot eyes and dilated pupils, a condition known as mydriasis, because of how the drug changes the chemical functioning of the brain. Getting treatment for a crack cocaine addiction is very important. If left unchecked, a crack habit can eventually kill a user or cause permanent psychological damage. Treatment starts by breaking the physical need for the crack. Simply stopping crack intake is unfeasible and dangerous, so the client needs to be carefully monitored during withdrawal. Doing this at home is impractical, as it would be almost impossible to control the craving for crack without expert help. The withdrawal process should be carried out in a hospital or treatment facility where doctors can monitor the client’s vital signs, ensure that there is no risk of relapsing, and administer medications to help. These are important things because even under medical supervision, breaking away from the physical hold of drugs is a painful, stressful process. As the body struggles to function in the absence of the drug upon which it has come to depend, clients experience a number of distressing symptoms, ranging from muscular pain, diarrhea and fever, to depression, anxiety, desperate cravings for more crack, and, in cases of long-term and serious crack addiction, suicidal tendencies. This is why it is imperative that detoxification be carried out in a controlled, safe environment. This prevents the client from seeking out other drugs (or even more crack) to alleviate the difficult symptoms of detoxification, and medical staff can provide moral support and encouragement during the hardest times of the process. Doctors can also prescribe specific medication to make certain parts of detoxification less stressful. The journal of Neuropsychopharmacology explains that baclofen, a muscle relaxant, can be administered to treat the muscle spasms that are normally part of detoxing from drug addiction. The detoxification segment of treatment for a crack addiction usually lasts about a week. Even after the client has no more physical cravings for the drug, it is still necessary to address the psychological damage of the addiction. This usually takes place in an inpatient program (where the client stays for a few weeks or months) or an outpatient program (where the client lives at home but has to check in with the treatment facility every day or a few days per week), depending on the severity of the addiction and other factors. Regardless of the setting, the therapy that takes place is about teaching clients how they can learn from their mistakes to improve their mental health in the future, as well as reduce the likelihood of going back to the lifestyle and decisions that prompted the crack abuse. An important part of treatment is to break the connections with the mindset where abusing crack seemed like a good idea. This might mean severing ties with friends or family members who use cocaine, and identifying triggers in the environment that plant the seed of desire that leads to cocaine abuse. To this end, a client will be connected with a peer-led recovery group after the formal treatment has ended. Peer-led recovery groups are sometimes better known as 12-Step groups because they are largely based on the 12-Step method of Alcoholics Anonymous – connecting with a community of other recovering addicts, holding each other accountable, and providing emotional and social support with the insight that comes from having survived respective addictions to crack cocaine. This is especially useful as a method of relapse prevention; having trusted friends and sponsors a phone call away (sometimes on a 24/7 basis) can be the difference between being talked out of making a bad, potentially dangerous decision and undoing the hard and painful work of treatment. Research conducted by psychiatrists in 2016, and published in the journal of Substance Abuse and Rehabilitation, found that people who participated in peer support groups as part of their treatment regimen had lower rates of substance use, better engaged with their recovery programs, took fewer risks that jeopardized their health, and had better control over their drug cravings. Crack cocaine remains a serious public health threat across the country, and the causes behind its spread are myriad and complicated. However, treatment exists, and it works. Thousands upon thousands of people have had their lives saved because they got help and their friends and families supported them in recovery, putting the lifestyle and mindset of crack addiction behind them.